As our students and teachers are sure to agree, Eagle Ridge is very fortunate to have access to a plethora of technology resources. We have over 300 laptops, 950 Chromebooks, 50 iPads, multiple specialty computer labs, color and laser printers throughout the school, a wireless network robust enough to allow students to bring their own technology, Internet access via a FIOS line, digital cameras, scanners, Interactive Whiteboards in every classroom, and a long list of software applications. However, even more impressive than the actual resources, is what our students and teachers are able to accomplish using these tools. Access is only one component to effectively using computers in a school building. Our true focus is on the integration of the technology into an already robust curriculum. 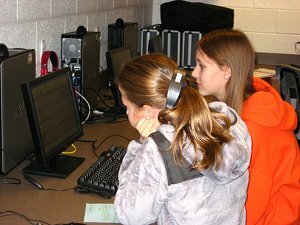 By combining technology and instruction through initiatives like BYOT, One to the World and Personalized Learning, learning experiences are enhanced because not only are students able to synthesize and expand their understanding of subject matter, but they can also communicate that new knowledge in interesting, engaging ways. 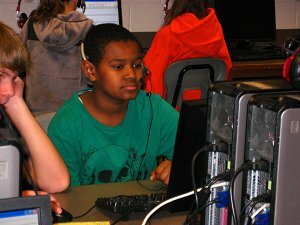 Our commitment to technology integration is best evidenced through the multitude of projects conceived by our teachers. These projects included WebQuests and on-line simulations as well as utilization of software and hardware to reinforce skills and to access information. 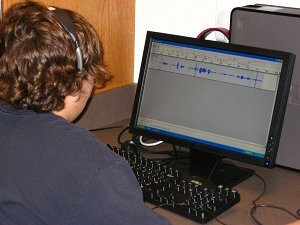 As a result, students and teachers are able to create products, including graphic-enhanced, creative writings, timelines, brochures, compilation newspapers, and multimedia presentations, which showcase their knowledge and computer skills. Focusing on integration, our staff strives to use technology in creative, educationally-sound ways to support the curriculum and to promote student achievement. At Eagle Ridge technology and learning really do go hand-in-hand.